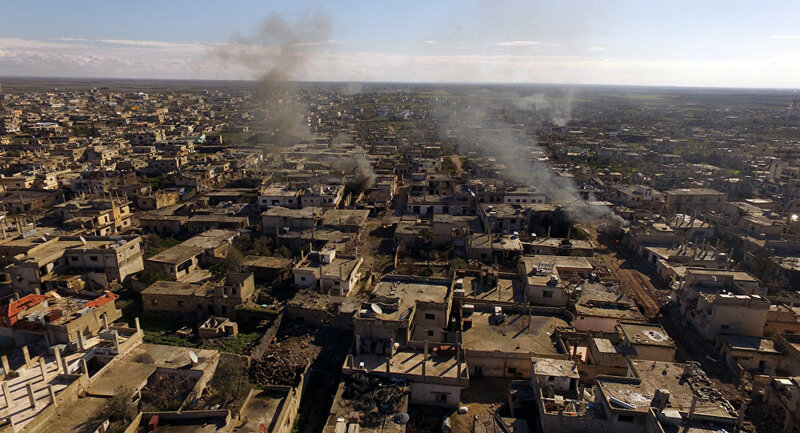 MOSCOW (Sputnik) – She noted that the Syrian government was doing its best to implement provisions of the ceasefire declared after the United States and Russia had reached an agreement on the issue. “The West is using militants to achieve its strategic goals in the region,” Shaaban told the Russia-24 TV channel. “We declared that we agreed with the cessation of hostilities. But it was the United States, who violated this agreement, having carried out an airstrike on facilities where the Syrian troops were deployed. So, that was not a mistake of the Syrian government or Russia that the humanitarian initiative was not implemented. That are the terrorists, who are enjoying support of the West, who are responsible for the lack of success of the humanitarian pause,” Shaaban added. Syria's civil war between government forces and a wide range of insurgents, including opposition groups and terrorists, such as the Islamic State (IS, also known as Daesh) and the Jabhat Fatah al Sham (also known as the Nusra Front, or Jabhat al-Nusra), both outlawed in Russia, is lasting for over five years and has claimed hundreds of thousands of lives. On September 9, Russia and the United States reached an agreement for a peace process in Syria. A ceasefire stipulated by the deal entered into force on September 12, but while it was supposed to last at least seven days for the next steps to be taken toward the Syrian settlement, it soon collapsed.